Yes, readers, a new game is afoot! At 221b Baker Street, Dr. Watson resides. Older now, he misses his friend and partner, Holmes, who recently passed away while tending bees on Sussex Downs. This is a story told by Watson’s son, Dr. John Watson, Jr., M.D., who happens to be an assistant professor in the pathology department at Saint Bartholomew’s in London. He comes to visit Dad, and not long after a woman arrives named Mary Harrelston. 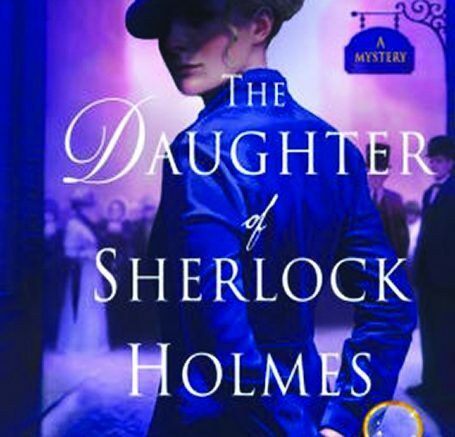 She needs Watson’s help to clear her family name by proving her brother did not commit suicide. Her brother was a rabid gambler and had just lost a hand to a close friend he was already in debt to, but she says he would never have taken his own life. There were two witnesses to what she believes was his murder, yet Scotland Yard has deemed it a suicide and closed the case. Watson wants to guide her, of course, but he’s not willing to actually investigate without Holmes. Until he is told the names of the witnesses. When he hears that one is a young boy whose mother is Joanna Blalock, both Watson’s rush off to interview her. This beautiful woman who is now a widower raising her son alone, has an outstanding mind. Returning to the crime scene with the doctors, Joanna becomes the “star” of this show. Her talent for deduction is outstanding, and how they solve this crime is a whole lot of fun to watch. The author has done a superb job with Blalock. She certainly sounds a great deal like a character we all love. And it was a thrill to see Watson and his son, as well as Miss Hudson, the housekeeper, and the dim-witted Lestrade once again. The story is well thought out and the mystery keeps you reading. But, yes…there will be times you do miss the mighty Sherlock. After all, he is one of a kind. 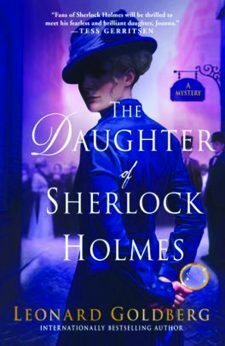 Be the first to comment on "“The Daughter of Sherlock Holmes” by Leonard Goldberg"